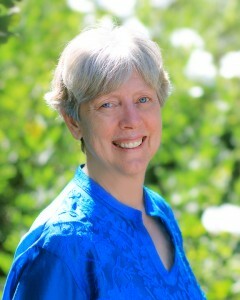 Patricia has been an enthusiastic part of Sunburst and practitioner of Kriya Yoga since 1975. She became the wife of founder Norman Paulsen in 1980, and had the wonderful opportunity to work closely with Norm for many years, helping to edit and work on his writings as well as build Sunburst’s community and sanctuary. 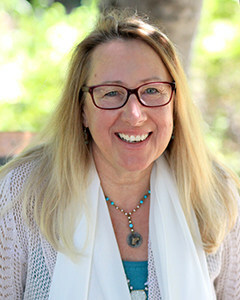 In harmony with the Kriya Yoga practice, Patricia has also studied various forms of hatha yoga for over 30 years, and is a certified teacher with Yoga Alliance. Prior to his passing in 2006, Norm asked Patricia to guide and carry on the work as Sunburst’s spiritual director. 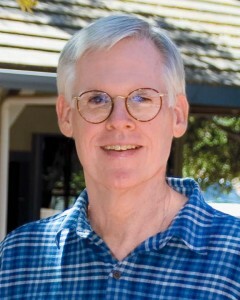 David first met Norm Paulsen and joined with Sunburst in 1972. At a young age, his open heart and compassionate nature brought him to community leadership positions. Later, David applied those same leadership qualities and lessons learned to the business world, helping guide Sunburst’s natural foods enterprises in Arizona for over 27 years. In 2014 David moved to Sunburst Sanctuary and now heads up community development. 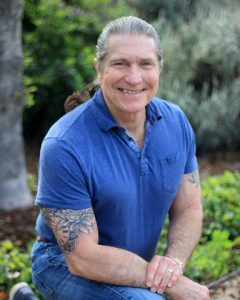 David is a dedicated practitioner, as well as a wonderful and patient teacher, of Kriya Yoga and the Sunburst path. Born and raised on the East Coast, Jake found himself irresistibly drawn to go to California. He discovered Sunburst in 1972 while shopping at our first natural foods store in downtown Santa Barbara. 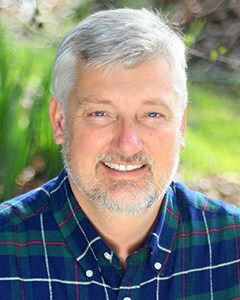 Jake immediately took to meditation and spiritual life practice, offering his energy and considerable talents to community and business service and leadership. Jake currently manages our natural foods store as well as serving as Sunburst’s council chairperson. Jake loves to work out with weights and is an amazing example of how to care for the body temple. His talks, classes and initiations are always inspiring yet accessible, helping people find ways to make the teachings readily applicable to daily life. Valerie arrived at Sunburst in 1973, and since then has been, and is, passionate about sharing about her love for life, for Spirit, and for spiritual practice. She has served for many years in Sunburst’s businesses, starting as a cashier and growing into finance manager for both the businesses and the non-profit. You can find Valerie almost every Sunday, and during retreats and programs, leading everyone in heart-awakening songs and chants. She loves sacred music from all over the world, hiking, writing, sharing her love of Spirit and passing on the soul-liberating teachings of Kriya. Jonathan is well known in Sunburst for his kindness, wisdom and humor. He met Norm and joined the work of Sunburst in 1974. Early on, he was asked to get involved in, and later head up, Sunburst’s business enterprises. For years, Jonathan has brought his spiritual practice into the business world through creating and sustaining a caring, compassionate company. He now brings that same caring energy serving as Sunburst’s treasurer. Jonathan is enthusiastic about sharing his love for Spirit and ways to bring spiritual practice into every moment. 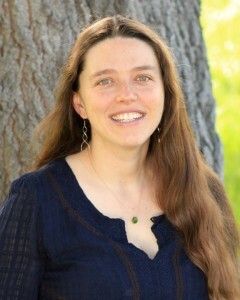 Emily first visited Sunburst in 2008 during a New Year’s Kriya initiation and retreat. She resonated strongly with the inner and outer practice, and after several more visits took the big step in 2009 of moving to Sunburst Sanctuary from her home in Kansas City! Emily serves as team leader of our retreat center office. Together with her co-worker Elena, she organizes events, outreach and communications; she is also a big part of the youth ministry team. She and her husband Heiko work together to help Sunburst thrive into the future. Emily’s attentiveness to detail make the retreats, workshops and events run very smoothly, and set the tone of providing a welcoming and sacred space for all who come to the Sanctuary. In 1982, Heiko arrived at Sunburst from his homeland in Germany with his mother Sibylle and brother Claas. He grew up in Sunburst’s intentional community and deeply connected with meditation and spiritual life. 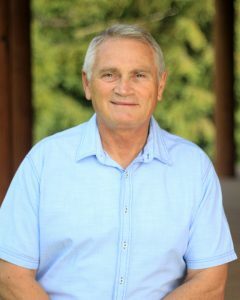 Heiko currently leads the property services crew in caring for the land, homes, and retreat center, leads monthly family meetings, and is a favorite Sunday youth minister. In 2014 Heiko earned his Permaculture Design Certificate, and is helping build our permaculture farm and learning center. He shares his deep dedication to Spirit and big heart whether he is leading Sunday meditation, playing with children, planting a tree, or fixing the plumbing when we need it the most! Elena was born in Greece and came to the U.S. as a teenager. 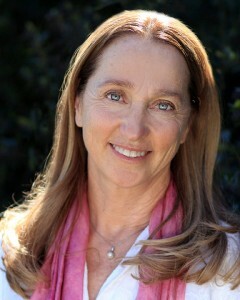 She first visited Sunburst with her husband Greg during a Kriya Yoga initiation in 2011. The retreat was a life-changing event for Elena, as she felt lifelong questions about her own spirituality answered in the Kriya practice. Within a few months, Greg and Elena moved to the area so they could participate in daily group meditations and community activities. Elena loves being part of the Sunburst team and now works in the office with Emily to coordinate events and outreach, participates in youth ministry, and keeps our gift shop filled with inspirational offerings. Her warm, peaceful and friendly presence (not to mention her lovely Greek accent) is a wonderful greeting to all who come to visit.